Well, it’s been a month and I haven’t found Adam Wagner. Or Waggoner. Or Waggner. Or his sister Cara. We think he might be in Iowa. We’re pretty sure he might have been in Ames, Iowa at some point. And it was suggested that maybe he was in the Navy. (Sigh.) What good is the internet if I can find everyone in the world except my fifth grade crush? Anyway, moving on from middle school crushes, I’d like to talk a little bit about high school crushes. At least, the kind of high school crushes for which MTV movie musicals get made. It’s so true that an entire career can be built because of “who you know.” In the course of putting together the soundtrack for “The American Mall,” my friends were working with a songwriter who was a brilliant producer and was getting a great sound out of his tracks, but his songs were perhaps not theatrical enough. (That’s ironic for me, since in this town my songs tend to be “too theatrical.”) So my friends, the music supervisors, asked me if I would collaborate with him. I talked to the director about what he wanted the moment in the movie to be, and he said he was looking for it to be a modern-day “Whatever Lola Wants.” (That’s a pretty theatrical reference for an MTV movie director; I was impressed.) So I sat down and I wrote a tango. I wrote a whole new song but I kept the title and the hook from my collaborator’s old song. And I showed up at his studio with my piano demo, recorded on Garage Band with me singing and playing at the same time. No bells, no whistles, just verses and choruses and my croaky alto voice. Collaborations are an amazing thing, really, and to this guy’s credit, he kind of smiled and nodded, and he turned my piano tango into the kind of song that belongs in an MTV movie. I know all kinds of people read this blog; some of you theater fans will hate the movie, others will love it. But I’m really fascinated with how all this happened, how my song was virtually unchanged in the writing and TOTALLY changed in the production. You’ll see. Once the movie’s been out for a while I’ll see if I can’t post the “before” and “after” mp3s. It’s a way cool process. And… while I’m at it, my music supervisors brought me in to collaborate on one of their songs, too. So I’ve actually got two songs in the movie. If you do watch it in a few weeks, pay close attention to “At The Mall” (which I wrote with them) and “The New You” (which is the not-really-a-tango that is actually kind of a theatrical AABA song but you can’t tell anyone or I might never work in this town again). The movie premieres on MTV on August 11th. I’m going to the actual movie premiere tomorrow night and I’m told I should expect to walk the red carpet. WHAAAAA? I have to wrap up this blog and see if there’s anything in my closet that’s not from Banana Republic. Watch the movie. Let me know what you think. In the meantime, here’s the official trailer. Enjoy. How fun! I’ll certainly keep an eye out for that. This looks so fun. . . I remember when Neil said he was leaving to film the movie in Utah back in the end of last year, and I had no clue you were involved. Can’t wait to see the outcome! I love the whole process of the “who you know” in this business. It’s strange and frustrating when it doesn’t work for you, but when you get to glide that easy road, it’s like bliss, right? Congrats again. . . can’t wait to hear the tracks! Hilarious post! 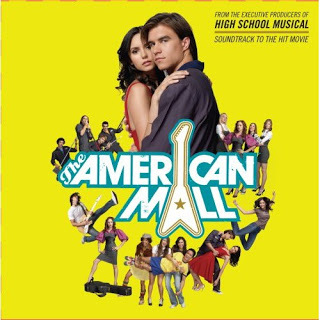 My name is Tomas Romero I wrote the original draft of THE AMERICAN MALL and even though it has changed a bit over time, the heart and soul of the movie is the same as in my original spec! Don’t know if you’ve seen it yet…but THE AMERICAN MALL rocks, hard! And I gotta tell you, my favorite songs are the ones you worked on…so, rock on Georgia! Like yourself, my wife and I are gearing up for the red carpet premiere tonight as well. We’ll have to hook up and chat a bit at the after party! Congrats again on your rocking contribution to TAM! Congrats, Ms. ‘Theatrical.’ Can’t wait to hear the Before & Afters. Hope the premiere was fuuuuuun.